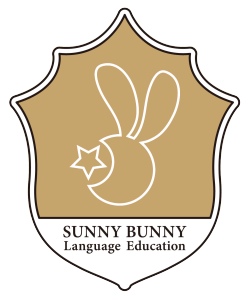 Welcome to SUNNY BUNNY Language School, the high-standard language school for early children in Bunkyo-ku, Tokyo, Japan. Choosing a language school for your child is one of the most important decisions you will ever make. Not only is it essential that your child feels safe, confident and happy in their educational environment, but you must also feel comfortable that their developmental needs are being met. We strongly believe that every child deserves the best possible start with professional knowledge and loving care to fulfill their potential. 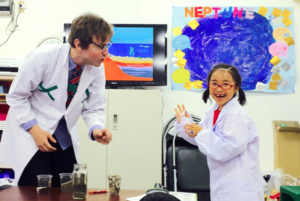 Our school provides the foundation for foreign education for children in Japan to foster their talents as they grow. bers of students in each class, ensures that each child is fully supported in their education and that each adult is able to make a positive contribution in educating the children. 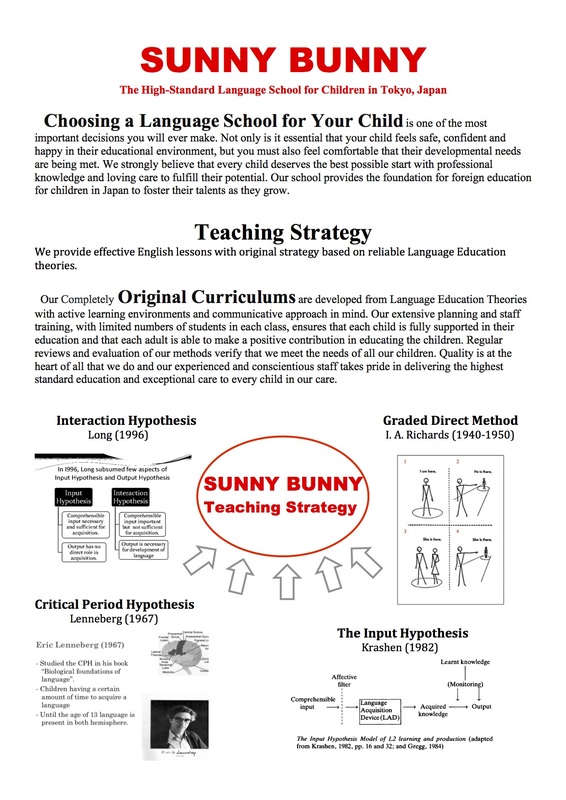 Regular reviews and evaluation of our methods verify that we meet the needs of all our children. Quality is at the heart of all that we do and our experienced and conscientious staff takes pride in delivering the highest standard education and exceptional care to every child in our care. classes that we offer. By attending the classes, you will be able to see our high-quality lessons, safe and fun environment and meet our passionate and dedicated teachers. Any time you have questions regarding our schooling, our knowledgeable and heartwarming staff will fully support your needs. All enquiries will receive a reply as soon as possible with information regarding the classes we offer that best suit your child’s needs. We ask for a nominal fee of 1000 yen to attend any of our regular trial lessons.